After a series of setbacks, the long-awaited collaboration has finally been released. 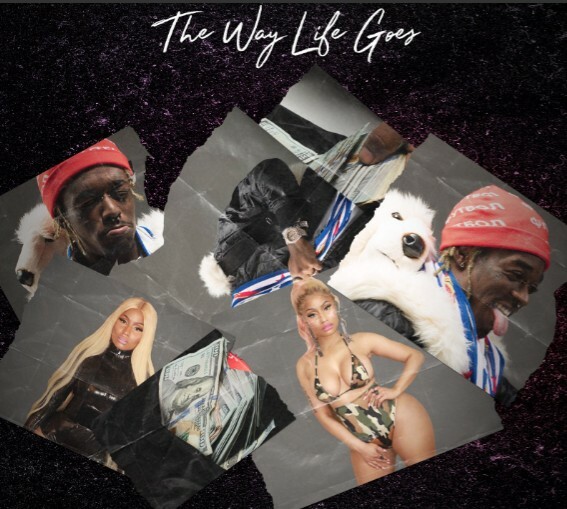 Last month, Minaj revealed on Twitter that the remix to Lil Uzi Vert’s “The Way Life Goes” had been completed, but lamented its delay after a fan asked about the status of the track. Fans speculated that DJ Drama, the head of Lil Uzi’s record label, was responsible for the delay. According to Minaj, the song had been put on hold by outside forces. Minaj has been pretty adamant about jumping on the remix. In August, she posted a video to her Instagram praising the original track off his Luv Is Rage 2 album, and urging Uzi to have her add to it. Now, the long-awaited collaboration has finally seen the light of day.